Momiji's Gallery: Japan Expo 2016 booth! Aaaaand this is it guys, I've got my booth at Japan Expo 2016! It's not my first choice, but let's hope the Nezumi stage brings a lot of people and not too much noise. 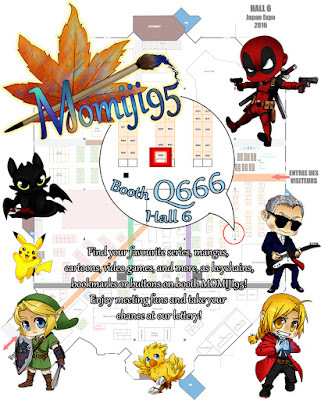 So, find me at Japan Expo in Paris from July 7th to July 10th on booth Q666!